Health, diversity and peace; all come together at the Udaan Biodiversity park in Vimannagar where you can chill, workout and pluck fresh herbs for your kitchen! Amidst noisy horns and dust, Udaan Biodiversity park is your daily dose of refreshment! Hosting a variety of plant species, Udaan Biodiversity park is very liberal to the idea of passerby and onlookers touching and plucking the plant’s leaves, flowers, spices, etc. From flowers blooming for all seasons to spices and vegetables, Udaan Biodiversity park has all types of plants and trees planted in such a manner that it makes the park also Instagram-worthy! In the centre of the diversity part, there is a picturesque artificial lake around which you can sit and listen to music, write or even sketch something! 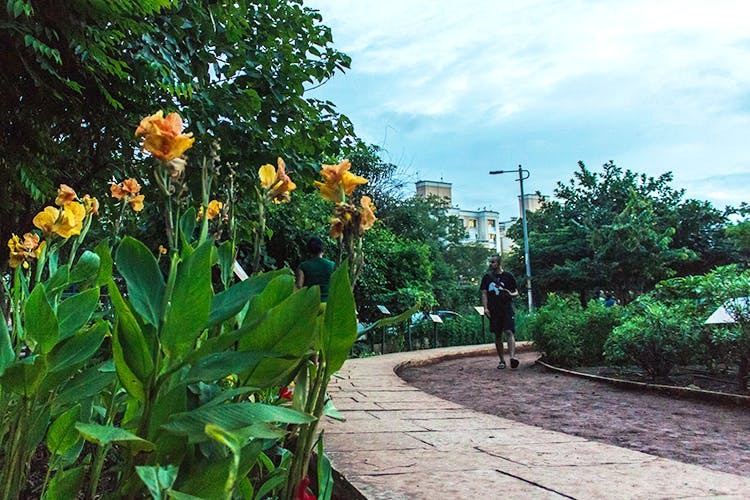 Jog, walk, chill or get some plants for your kitchen garden from Udaan Biodiversity park!